After mellowing in a refill cask to develop the soft distillery character for a decade, a secondary maturation in a specifically chosen amontillado sherry wood cask ensures that all the good work continues. This edition is testimony to the skills of the Master Distiller. It has a sunny golden colour ad the palate is Intense, a biscuity-sweetness followed by a long echoing interplay of sugar sweetness and oaky dryness. The finish is an astonishingly long finish, dry and soothing. 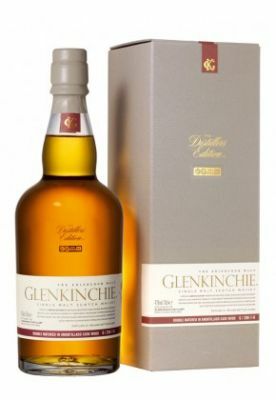 Food suggestion : Glenkinchie is often enjoyed as an accompaniment to sardines and works beautifully with parmesan cheese.